This option is available for those who want to use the duplicate of the photo strip as a way to create a very AMAZING guest book! 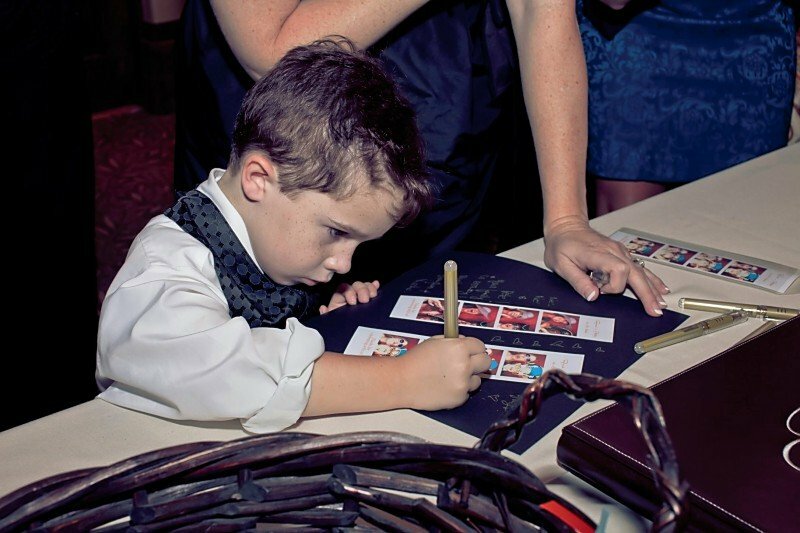 Guests will add their photo and a message to a scrapbook page just for you. We will bring the makers, glue, paper, and a really nice (really big- for those huge weddings) scrapbook so your guests have everything they need to let their creativity fly! We will also bring a table and black linen just for this option as well as put your book together at the end of the night so you can take it home. We get so many comments about how awesome it was for brides and grooms to get to see this book the next day- especially when they know they will be waiting weeks for their wedding photos. 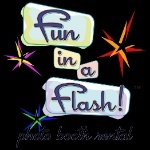 Set to songs from your event, we use photos from the booth to make the coolest slide show for you. We don't always send one with your digital copies- but we can. This is still a free service we offer with rentals and you just have to ask for it! If you would like to provide packaging or display items for your guest's photo strips we offer a wide variety of options. From simple to extravagant- there is something to fit everyone's budget. Something you want that you don't see here? Or look through our FAQ page!